Miss Berry thanks Mrs. Duckworth's son for his gift and informs them on some weddings that will be happening during the summer. 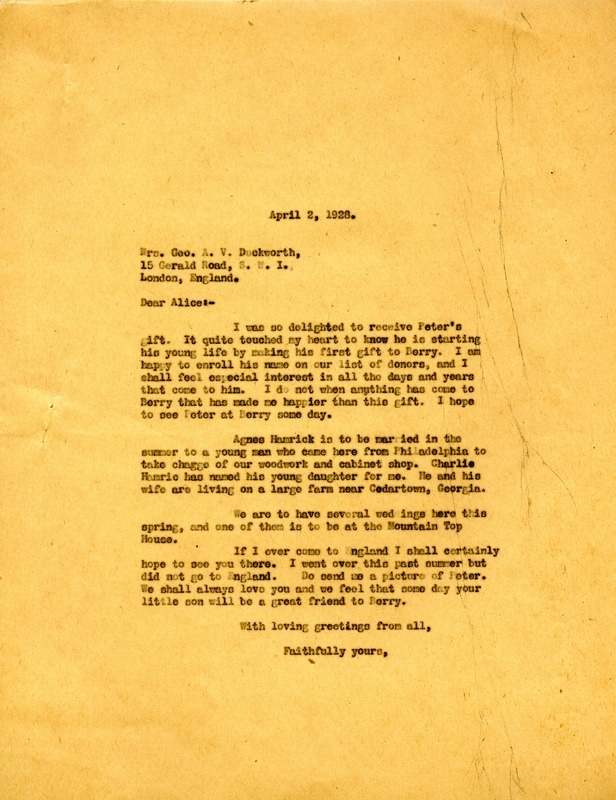 Miss Martha Berry, “Letter to Mrs. George A. V. Duckworth from Martha Berry.” Martha Berry Digital Archive. Eds. Schlitz, Stephanie A., Meg Ratliff, Rachel Renaud, et al. Mount Berry: Berry College, 2012. accessed April 25, 2019, https://mbda.berry.edu/items/show/7288.